October 30, 2017 By Chelsea T.
BREAKING from Plymouth Meeting, PA: The dragon from “Drago’s Castle” at 5 Wits in Plymouth Meeting Mall disappeared from her home early this morning, General Manager Dawn Charbonneau confirmed. Noted dragonologists report that dragons typically slip away from their lair once a year to lay their eggs. During this time, the dragon may roam miles away from her home to find the best place for the eggs to incubate. Dragon eggs are approximately 16-24 inches long and reptilian in appearance with green and brown color variations. 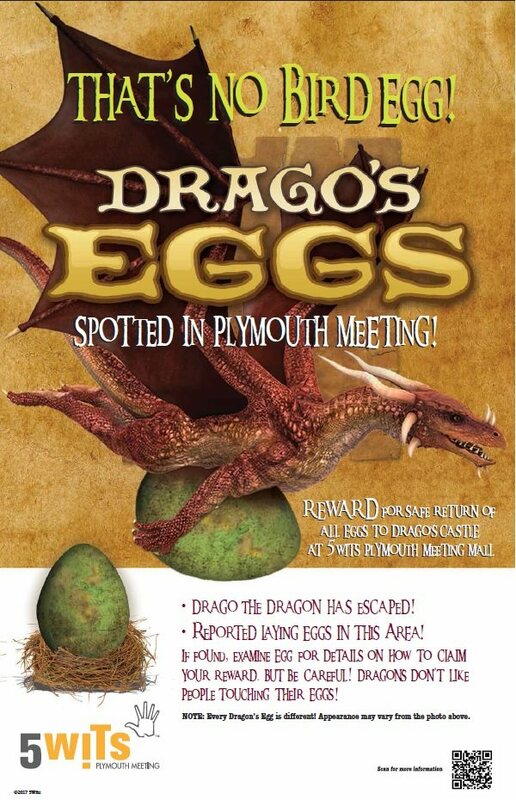 Charbonneau believes the dragon will eventually return to 5 Wits Plymouth Meeting on her own – hopefully in time for the store’s grand opening on Saturday, November 4th – and she is asking for the public’s help in recovering the eggs. 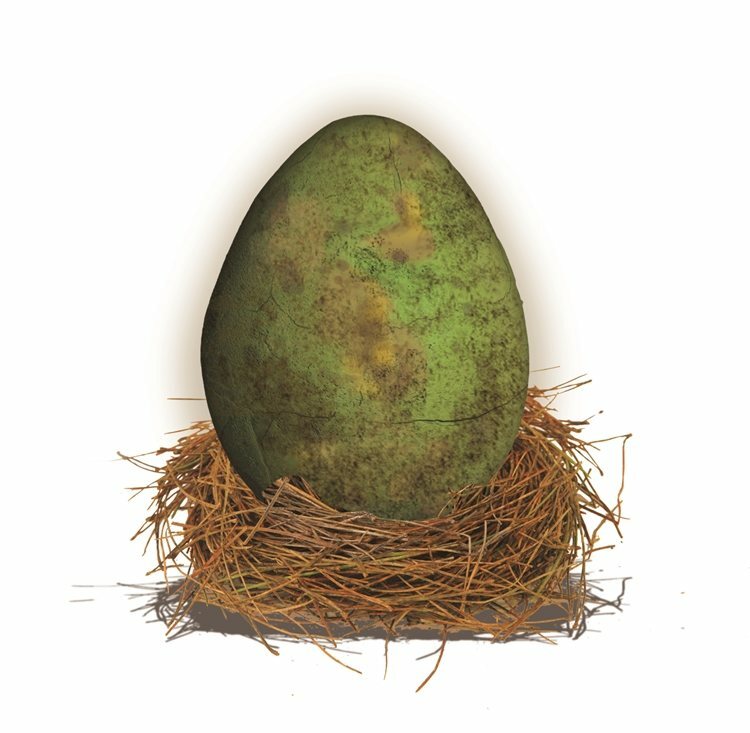 Anyone finding an unusually large egg is urged to upload a photo with the location (selfies are fine) to Facebook, Twitter or Instagram with hashtags #DragonEggs and #5WitsPM before bringing the egg to 5 Wits at Plymouth Meeting Mall on Saturday, November 4. More information is available at http://Bit.ly/DragosEggHunt.